This guy was enjoying the windy conditions over Bramble Bay at Woody Point, Queensland, Australia this morning. 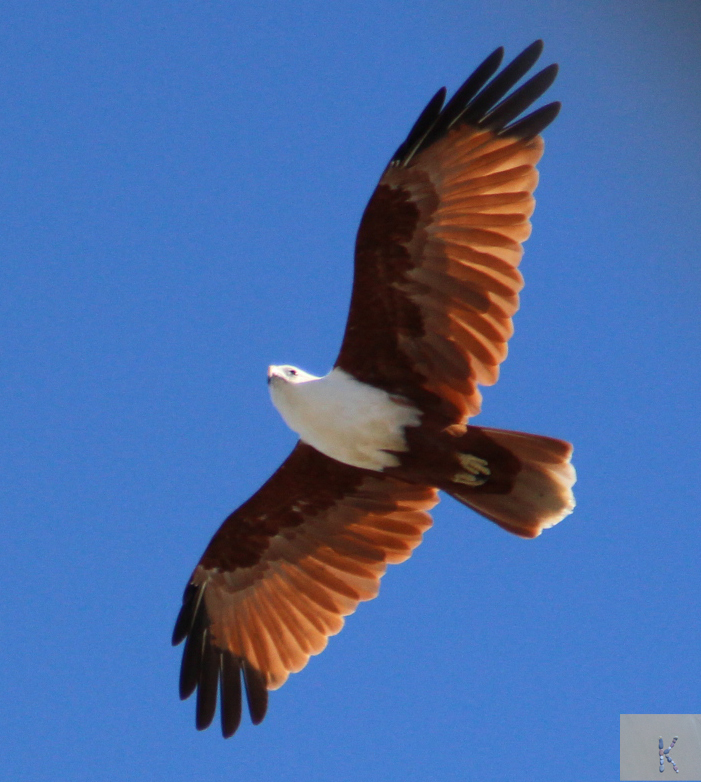 This entry was posted in Birds, Music, Photography and tagged Australia, Brahminy Kite, Bramble Bay, Queensland, Woody Point. Bookmark the permalink. Wonderful photo of the Kite! Thanks Margaret. I love watching these birds gliding around the bay. Really nice post as usual and just love seeing birds in flight. Take Care Ian. Thanks Ian, This guy came back again this morning and I stood there for ages watching him gliding over the foreshore. The day we can fly like that and build aircraft that do not crash, will be a day when we learn from creation and not destroy it. Those are attractive colors on the underside of the kite. The colours are attractive Steve. I love the dark tips on the edges of the wings. This guy hovered for ages. I was so happy he stayed long enough for me to get my camera.